The drug is the dried stem of Tinomiscium tonkinense Gagnep. (Family Menis permaceae), growing in woods in valley or in hilly scrub, distributed in Guangxi, Guizhou and Yunnan of China. 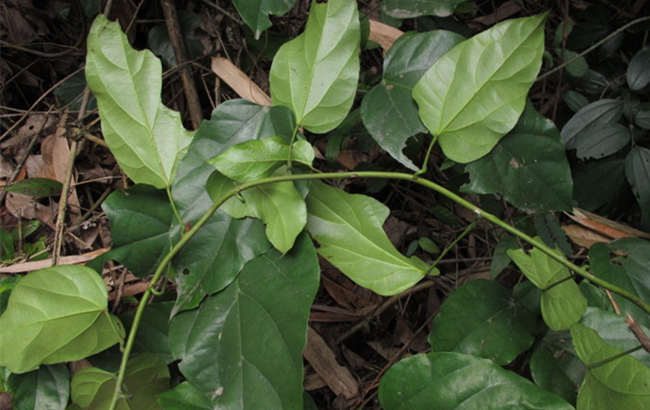 The branch, leaf and pericarp contain gutta-perna and alkaloids. Expel wind-damp, dredge meridians, dissipate stasis and alleviate pain, remove toxicity. Traumatic injury, swelling and pain of eyes, sore throat, lumbago, rheumatic arthritis.